Protect your family with ESET’s complete Internet security suite, built on the award-winning ThreatSense antivirus and antispyware engine. Our proactive heuristic technology intercepts and eliminates known and emerging threats hours or even days faster than competing products. Get ESET Smart Security 5 for comprehensive protection. Installing security software is the first step toward cybersecurity. The second is educating yourself about safe Internet practices. 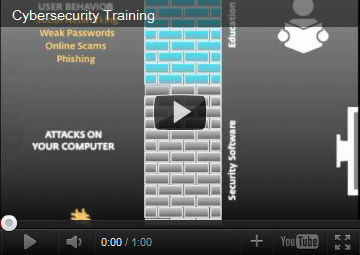 That’s why ESET Cybersecurity Training is free with ESET Smart Security 5. ESET Cybersecurity Training uses real-world cyber crime scenarios and gives you essential safety tips to make your online experience even safer. ESET Smart Security 5 placed #1 in performance tests run by PassMark Software beating nine (9) internet security products and achieving the best overall performance in the selected performance metrics. ESET Smart Security 5 received the esteemed PTPA (Parents Tested Parent Approved) Seal of Approval, the most publicized and highly recognized award seal in North America. ESET Smart Security 5 won Best Usability 2011 Award by AV-TEST among 18 other vendors. The award is given based on ESET’s performance in terms of minimizing notification messages, false positives and overall low system impact.